Hilariously for anyone reading this in the UK, I’m about to tell you how important it is to keep well protected in the sun with a good suncream. I know, laugh along with me as the rain beats down. We were asked to do this as a sponsored post for Garnier Ambre Solaire which is working with Lorraine Kelly to encourage us to Measure our MLs and apply enough sun protection, we do very few of these as you know but this is important. According to Cancer Research figs, skin cancer is on the increase, over the last 30 years skin cancer in Britain has increased more rapidly than any of the top ten cancers and female rates have more than tripled. Putting sun cream on is a ritual that those under 40 take much more seriously than those over 40. When I was growing up we considered it a successful day at the beach if our red-glowing skin stung until our eyes watered in the bath that evening. And that was under the watchful eyes of loving parents, who thought it was healthy to ‘catch some sun’. 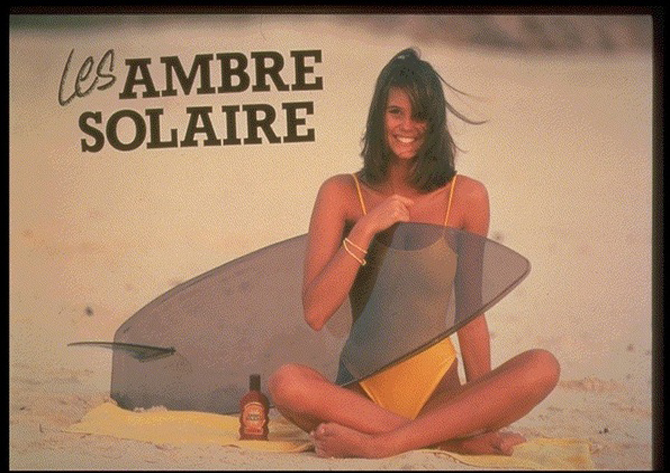 Ambre Solaire was the hip suntan lotion du jour (remember the fabulous ad with Elle MacPherson in that gorgeous yellow swimsuit?) with its deliciously expensive smell and oily promise. When we could afford it we bought it because it assured us it would give us a fabulous deep brown tan with a stupidly low SPF factor (if it even had one, that simply wasn’t the point), anyway no one spent money on sun tan cream to STOP the suns rays, we all bought it to make us catch more! Such was the mindset of the 70s and 80s, it’s a wonder we survived. Thank goodness we know more now. I became a parent just as the skin cancer klaxon went off big time and thankfully my kids were all lathered up whenever they went in the sun, but not as much as they probably should have been, there were occasions when they still burnt, boys get very wriggly and cross if you put any obstacles between them and the beach and If I’m honest I also loved them looking brown, it’s just how I was brought up. But we really need to change the ritual of how we think and act on protecting our skin if we’re to avoid not only the horrors of skin cancer, but also (appealing to our vainer selves) how much it AGES us…did you all see the case of the 69 year old US truck driver who had many more wrinkles on the side of his face that was next to the truck’s window and exposed to the sun’s UV rays? Scary eh? No wonder Joan Collins famously never goes out in the sun without suncream and a very big hat. We still aren’t putting enough on, or topping it up as often as we should apparently. When we got together with Lorraine Kelly and Garnier earlier this week we learnt new guidelines. Garnier has been working with Team GB olympic track and field athletes who train outside every day to teach them how to stay well protected, not always as easy as it sounds, as you’ll see from the video. Basically if you’re out in the sun, we need to use about 6 teaspoons of SPF cream per application to cover our whole bodies. NEVER use anything under factor 30 ever, it’s just not worth it. Most experience beauty editors I know use factor 50 on their faces throughout the summer months. Kids are recommended factor 50. And we should re apply the lotion every two hours. Be vigilant when applying and cover all exposed areas, in the below video you’ll see that even when you think you’ve got everything covered, you probably haven’t (I think Lorraine made this video during the one week in April when the sun did actually shine). My favourite Ambre Solaire product is the new Golden Protect lotion which has a shimmer to it, which means you can see where you have applied it and that gold sheen adds a glamourous edge to sun cream. We also all loved the smell of the Soothing Hydrating lotion, just like sticking your nose in the cocoa powder tin. Personally I think there’s room for a retro smelling Ambre Solaire range to take us 40plus women back to the smell of the beach in our teens, only this time with more SPFs. BTW, how NICE is Lorraine? she is so fabulously normal in real life, we want her as our friend. BTW2 Garnier told us no product in the range has been tested on animals, more on its break through Epi-skin, lab manufactured skin for testing product in a later post! 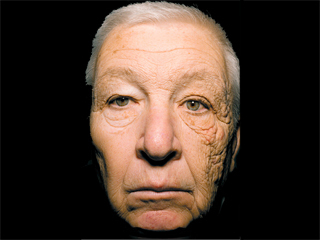 I totally agree – it is essential to wear plenty of sunscreen all the time – especially in my part of the world. 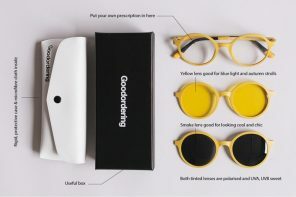 My question is then – why do they make the stuff so blooming expensive ? People are never going to apply 6 teaspoons per application when the stuff is almost as expensive as gold – why would you want to get through a bottle at double the speed and cost yourself twice as much when you can get decent protection being more frugal with it ? We use the spray suntan lotions such as Banana Boat http://www.thesuncareshop.com/sun-protection/sun-tan-lotion/banana-boat-ultramist-sport-sun-protection-spray-spf-50__079656744910.aspx they are quick and easy to apply – don’t bother the children as much and seem to work really well – we do always use a more gentle product on our faces – at the moment this one from Eucerin http://www.amazon.com/Eucerin-Kids-Sun-Lotion-50/dp/B0026YTL6M and we always use factor 50 on the children – who also wear UV tops all year round. I use factor 50 on my face always and factor 30 on my body – I’m usually paler than most people that come to visit us on holiday, really because it is just too hot to sit in the sun and get a tan for much of the year. I do resent having to pay a fortune for sunscreen though, when it is something we cannot do without all year round. 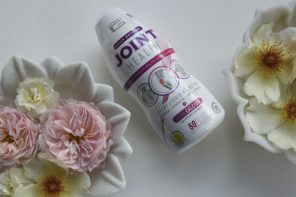 I tend to buy about 15 bottles at a time when I go shopping in Dubai, at least I have more choice there and it’s a bit more reasonably priced – we also get people to bring it to us sometimes when they come to visit, because it is one of the banned substances for postage so that isn’t an option. All in all, a subject I feel quite strongly about !!!! Ooh reading the post took me back to my teenage years too – did you ever do that thing of holding a foil covered tray under your face to make sure you really, really fry? Sheeesh…. Monix, You are supposed to take your make up off, I know, stupid, but interestingly I was talking to Mak Gilchrist (the model who does Edible Bus Stops…great idea, we covered it here http://www.thewomensroomblog.com/2011/06/23/9071/) about how the pressures of shoots mean you DON’T as a model get the chance to do that, and she reckons she has sun damage because of it. We don’t live in the metropolis that is Dubai where all is available – we live in little bitty Oman where choice is very limited indeed – although on a side note I did find a lovely spa this week selling the Noem products you were talking about recently – go figure ! Anyway – items that can be brought into Oman are strictly regulated and must be on an approved list. We use a service called Aramex which couriers things to us here from the UK and the US but cosmetics and liquids are banned substances. We usually have to wait to get people from the UK to bring any cosmetic type stuff out to us. We are used to it by now. Although it is very very hot in this part of the world, we don’t have the same problems that the Antipiodeans have in terms of the hole in the Ozone layer – they have it much worse – but since we have lived here for seven years now and plan to continue to do so I am very aware that we all need to protect our skin very carefully indeed. If you need an expert on Sunscreen I’m your girl – or middle aged woman maybe !